DALLAS – June 12, 2018 – "Will treatment make me impotent?" It's a question on the minds of many men as they are making decisions about prostate cancer treatment. A multicenter clinical trial being led by UT Southwestern physicians is testing a technique for sparing nerve bundles and arteries involved in sexual function to preserve potency in patients getting radiation therapy for prostate cancer. 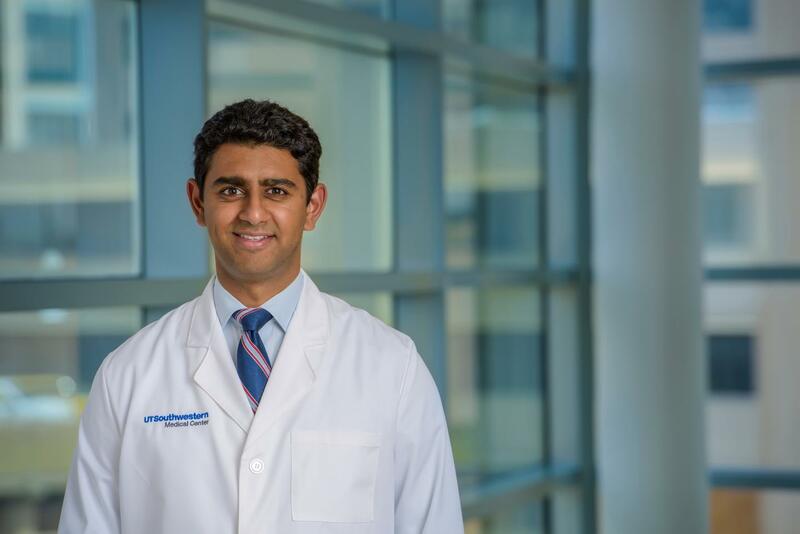 "Nowadays, mortality after treatment for localized prostate cancer is as low as 1 percent at 10 years," said Dr. Neil Desai, Assistant Professor of Radiation Oncology, a Dedman Family Scholar in Clinical Care, and Principal Investigator of the POTEN-C trial. "By contrast, as many as half of all patients being treated for prostate cancer will experience some decline in sexual function. It is appropriate, therefore, that our focus has shifted to this aspect of quality of life." Kevin Stanfield of Mount Vernon, Texas, said he became a detective, scoping out all the options – watch-and-wait surveillance, surgery, radiation – when he learned he had prostate cancer, which had taken his grandfather's life. Radiation and participation in the POTEN-C trial were the options Mr. Stanfield chose. "The potency was a big deal," said Mr. Stanfield. "It's not that I'm some sort of Romeo or anything, but my wife is a few years younger than me. We enjoy our time together." Mr. Stanfield will be one of 120 patients enrolled in the study, which will include patients at up to nine major medical center sites. All patients in the study will be followed for two years. UT Southwestern will lead the clinical trial. Hear Mr. Stanfield discuss his journey. The POTEN-C trial incorporates both prior projects, culminating in what Dr. Desai hopes will be a way to reduce the burden of therapy on men and their partners. "We're using advances in MRI imaging to locate the disease, the SAbR technique's precision, and now the SpaceOAR gel to plan a new approach to reducing sexual dysfunction. We are excited to be able to combine the results from the last 10 years of research to improve the outlook for our patients who require prostate cancer treatment." Mr. Stanfield said he realizes as a participant in a blinded randomized study, there's no guarantee he will get the nerve bundle-sparing technique, but that doesn't bother him. "I might get the new treatment or I might not; however, if I don't I will still get the best that's available now. I'm really excited about being a part of this," he said. "Basically, we're trying to give men more choices, trying to preserve their potency upfront. If this ends up being a positive trial, it's a pretty big deal for our field," Dr. Desai said.